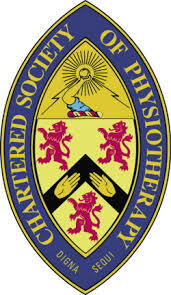 Effective and individualised physiotherapy in Cheltenham. Treating sports injuries, back pain, joint problems and many other musculoskeletal disorders. With many years of experience, Georgina can offer the very best in diagnosis, treatment and rehabilitation and get you back on the sports field, out gardening or simply back to work as quickly as possible. Over 20 years experience, many of which have been in elite sport. You will receive the very best in diagnosis, treatment and rehab. Acupuncture [if you are in agreement] It works miracles! Customised rehab exercises – not a generic printed sheet. Located in a brand new state of the art gym. If at all possible Georgina will keep you on the hockey pitch, out running, gardening or at work. As a passionate sportsperson herself, Georgina hates to be ‘off games’ so totally gets it that no one else wants to either. As a result you will very quickly be pain free, moving efficiently and back to what you want to do. Treatment available for all ages from children to the elderly.